I was reluctant to post this because I try so hard to not mix advocacy with our business of EMF services, but today, it would be wrong for me to remain silent. Admittedly, I am upset and a little disheartened. For the sake of my wife and daughter, my mom, brothers and sisters, extended family, friends, neighbors, associates, and everyone else, my concern compels me to speak. Today, on March 30, while thousands of faithful New Yorkers were praying in their local synagogues, the 5G Network was powered ON. We New Yorkers have now officially become subjects in a new human-health study. I assure you, the current on-going EMF human health study has not been going very well. 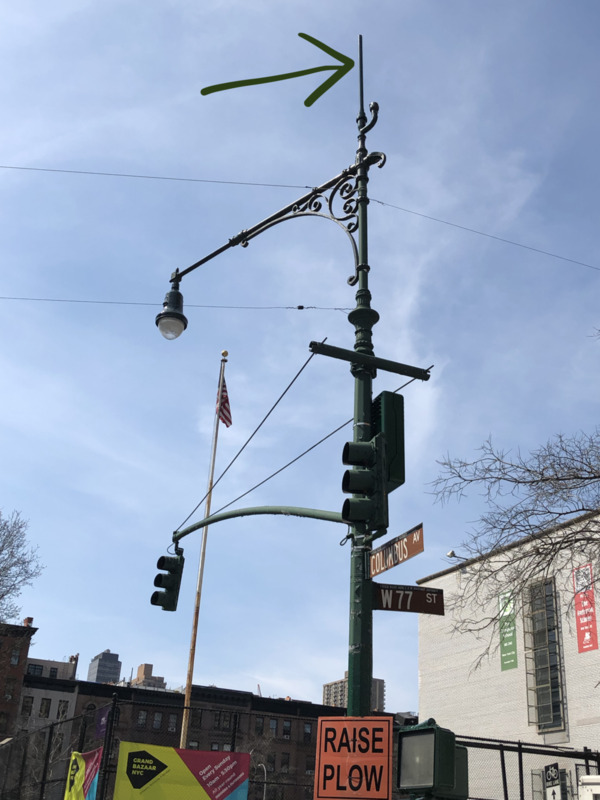 Here you can see the 5G antenna on top of the light pole emitting over an elementary and middle school playground on the upper west side of NYC, the American flag on the playground property, and the prestigious Anderson School and the Computer School to the right. Our young children are now the experiment. It’s time to revisit the Telecom Act of 1996. There has not been one single animal study conducted to date to test the potential ill-health effects from prolonged exposure to 5G, despite the NIH reporting, in 2017, that 2G and 3G cause cancer. Do Governor Cuomo and Mayor de Blasio not think that 4G and 5G are in the same category? Gentlemen, here is the only fact that you need to know: 2G, 3G, 4G, 5G, and Trump’s 6G, and 7G are all high-frequency microwaves traveling through the air. They are all toxic for human consumption. They are all electromagnetism. Forget the studies; follow me around for two weeks visiting all those who are ill and have corresponding high EMF levels. The pioneering activist Olle Johansson, Ph.D. points out that the last time that a relatively small group of people conducted scientific experiments on massive numbers of human beings, without their consent, was in the Nazi Concentration Camps. To add to this horrific realization, we’re still using the same safety standards from the 1940’s set-forth by Herman Schwan, a paid-off imported Nazi physicist who admitted that even his numbers were only good for a brief exposure. (Cited in The Body Electric, by Robert O. Becker.) The US Navy couldn’t find an American physicist to give them the numbers they wanted on their schedule. Instead of 5G, I believe we would be better off establishing a fiber-optic light pipe network. This network is hard-wired technology that travels at the speed of light; faster than any wireless network could ever get with virtually no latency. The ultra-benefit is that there is no electromagnetic toxicity. Unfortunately, I don’t see this happening in the US. I do see our telecom companies continue to be the wealthiest and most influential companies in the world and just about every politician and university with a research program remain dependent on their funding. I also see information on the 5G network continue to be secretive and funding for research to be suppressed. The telecoms have come a long way since the Telecom Act of 1996. But, so have the yearly stats on infertility, cancer, neurological disease, depression, suicide, and much more.